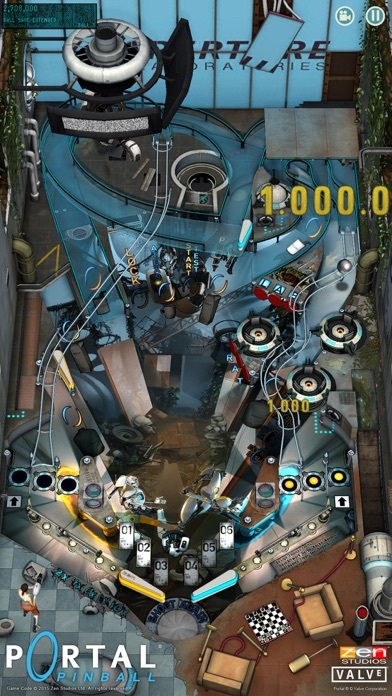 Zen Studios, in collaboration with Aperture Laboratories and Valve, is proud to present the “Aperture Science Heuristic Portal ® Pinball Device”, proving that persistent experimentation is not only the hallmark of good science for the benefit of mankind, but also incalculably fun! 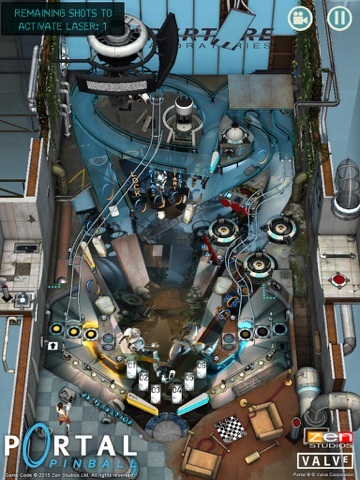 Guide Chell and Wheatley through test chambers by navigating portals, using aerial faith plates, defeating turrets and facing other obstacles. Be sure to visit us at blog.zenstudios.com for more information on Zen Pinball and other games in the Zen Studios lineup. Additionally, follow us on Twitter at http://twitter.com/zen_studios or Like us on Facebook at http://www.facebook.com/zenstudios. Watch trailers for our upcoming projects on YouTube at http://www.youtube.com/user/ZenStudiosGames. First sale after a year and a half. I have enjoyed Pinball Arcade but haven't tried Zen. I imagine this one is worthwhile? I also waited almost 2 years so i can save a dollar. i'm so excited to play this now.